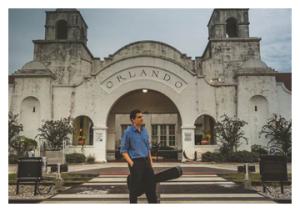 The title of the album came to me during my trips to the recording studio in downtown Orlando as I passed the historic Amtrak train station, formerly the Atlantic Coast Line Depot. Built in 1926, this station was “hailed as one of the South’s most beautiful railroad stations” and just underwent a major renovation. “Each letter in the arched ‘Orlando’ sign greeting passengers was hand-designed by architect A.M. Griffin, who derived his inspiration from California’s Spanish colonial missions,” according to The Orlando Sentinel. The album’s production quality is largely due to the superb work by recording engineer, Chris Baranyi, and mastering engineer, Richard Yates, to whom I am deeply grateful. I perform on a classical guitar built by French-Canadian luthier, Andre Brunet, a steel-string acoustic guitar (O32) built by Irish luthier, George Lowden, and a vintage Gibson ES-335s electric guitar. The completion of the album coincided with the recent launch of the new and exciting SunRail train system. About that time, it was also announced the Church Street train station would be undergoing a major renovation/restoration project. 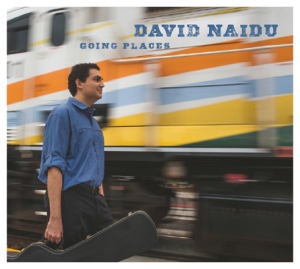 The photographs for the album artwork were taken by Jed Johnson (Jed Johnson Photography) quite fortuitously when a SunRail train was misdirected to the Amtrak station! Graphic designer, Thuan Nguyen (House of Thuan), did a wonderful job with the photo/text layout. Lasciati Avvolgere by Italian guitarist/composer,Giorgio Signorile, makes an ideal opener with its lively, galloping rhythm. 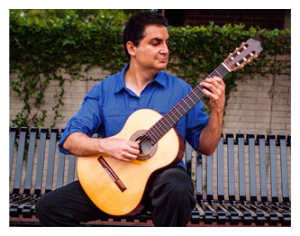 Followed by Armor by French guitarist/composer, Thierry Tisserand, this Celtic-inspired work is comprised of two distinct sections and begins with a nostalgic Prelude and concludes with a lively Dance. The title Armor refers to a coastal region of Brittany in northwestern France created during the French Revolution on March 4, 1790. 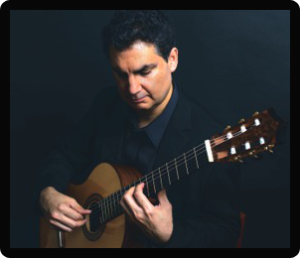 There are many renditions of this popular Brazilian song, Manha de Carnaval by Luiz Bonfa, first heard in the 1959 film, Black Orpheus, but I am particularly proud to include French guitarist/composer Jean-Marie Raymond’s arrangement. Forgiven by Deb Talan is the only vocal track on the album and was featured during the closing credits of the 2001 movie, Lovely & Amazing. Considered a staple of nearly every classical guitarist’s repertoire, Sunburst by Andrew York is performed in a more laid back tempo with percussion to bring out the clever syncopation. 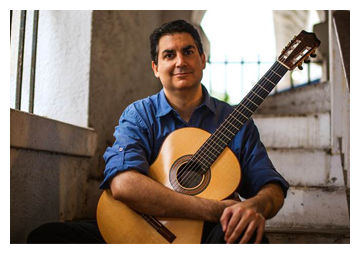 Though not exactly a household name, Doug Smith is a Grammy Award winner and the 2006 winner of the prestigious Winfield International Fingerstyle Guitar Competition. His most biggest hit, Renewal, is played in ‘DADGAD’ tuning and features a flowing rhythm. The traditional American folksong, Wayfaring Stranger, is masterfully arranged by guitarist/composer, Frederic Hand, and is most fitting for Going Places. The imaginative harmonies and bass lines support the familiar tune superbly. Shifting from Appalachia to Scotland, the 1791 Robert Burns song, Ye Banks and Braes, receives faithful treatment by master Celtic guitarist, Tony McManus. The album concludes with a duet (guitar and cello), I’ll be there, by Swedish YouTube sensation, Per-Olov Lindgren and a solo, Hana (Japanese for “Flower”), by Masaaki Kishibe.